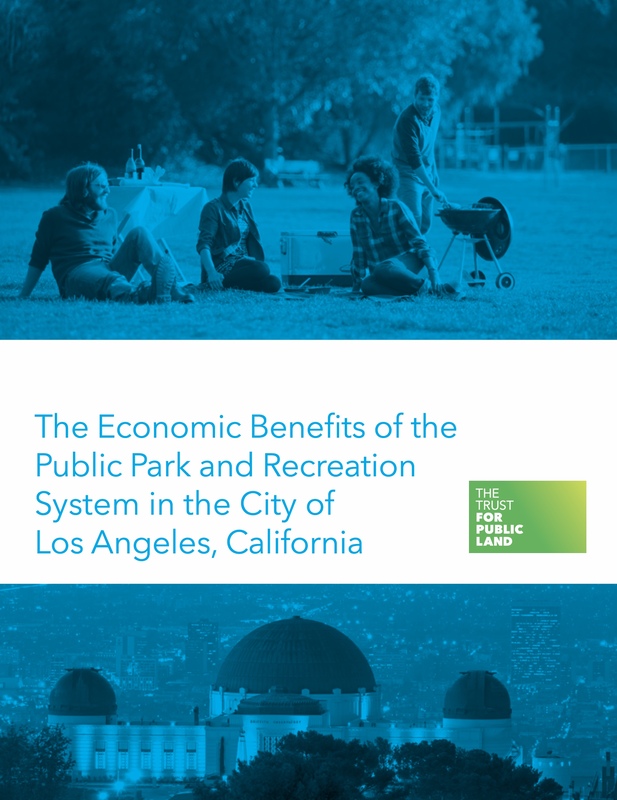 The Trust for Public Land has released their long awaited report on “The Economic Benefits of the public park and recreation system in the City of Los Angeles, California” and it should come as no surprise that the economic benefits to our local economy of our parks and recreation system are worth BILLIONS of dollars annually and are deeply intertwined with our health and wellbeing. This report helps to quantify in economic terms that way that parks save and generate income by reducing the amount of water that enters our storm system and how trees help to remove air pollution and clean our air. It shows how nearly 75% of our children visit our parks and use our recreation services. Most importantly it shows the massive health care savings that are possible when our residents engage in active physical activity in our parks. We can now clearly see the that parks directly helps drive our tourist economy and generates additional tax revenues. This report shows how parks bring our community together in the form of park volunteer time that is worth millions to our city. It also shows how parks enhance property values along with increased property tax revenues which are a reflected by an increase in wellbeing and overall quality of life. All of this is welcome news as the City of Santa Monica moves forward with the present 12 acre Santa Monica Airport Park Expansion that is now in the construction and planning phase and for the future Great Park that will replace the Santa Monica Airport when it closes at the end of 2028.